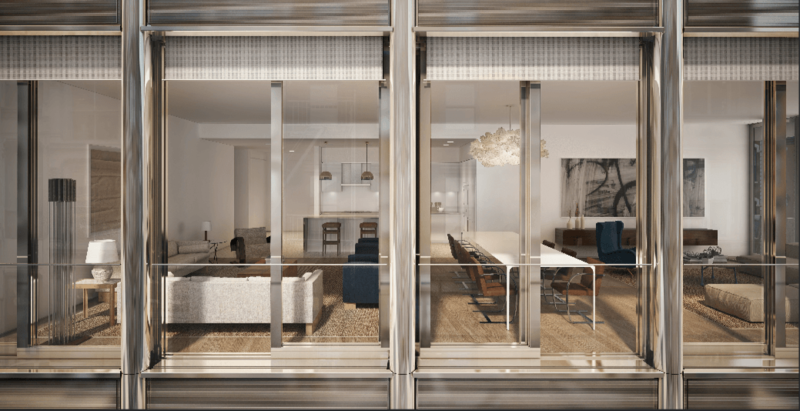 As with Selldorf’s other residential designs such as the innovative 200 11th Avenue, 10 Bond Street in Noho and the interiors at the Urban Glass House at 330 Spring Street, meticulous attention to design details is reflected in the use of materials like stainless steel, brushed aluminum and metal mesh. 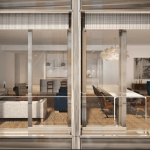 The design of the façade allows for living spaces with high ceilings, generous open space, exceptionally large windows and sliding doors that open onto private Juliet balconies. The building’s innovative window shade system consists of shades mounted on the building’s exterior that will automatically raise and lower in response to exterior temperature and lighting conditions (tenants will be able to control the shades independently as well). 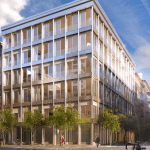 Residents will enjoy a courtyard with “a fully mature Norway maple tree, which was recently airlifted into its new and final home,” and the building’s lobby will feature terrarium gardens and sculptures by renowned artist Paula Hayes. 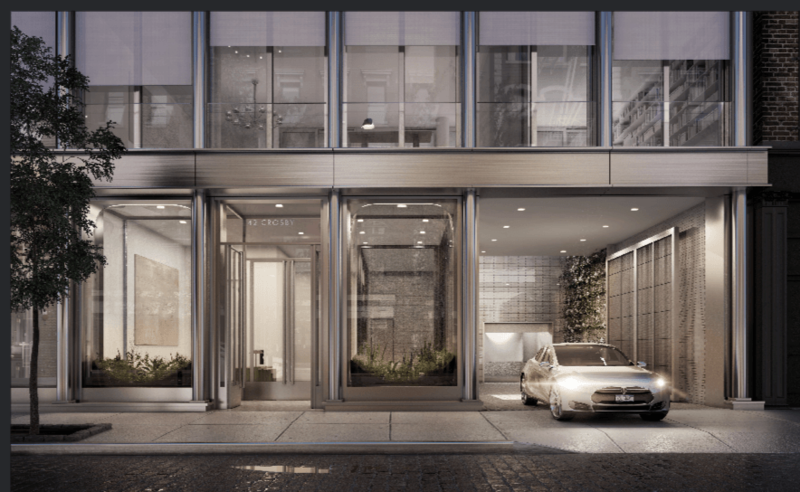 The rare automobile-friendly residence offers a porte cochère–complete with a green wall–that will enable residents to access the lobby from a private entrance off the street–ideal for residents who value their privacy. But what about those parking spaces? 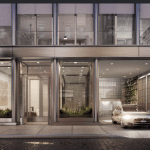 A 10-space underground parking garage serviced by the vehicle elevator will, in fact, be available to buyers–and as far as we know, they’re still an extra $1 million. Ms. Selldorf also designed the innovative “sky garage” at 200 11th Avenue. 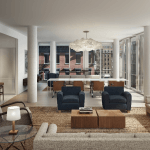 Find listings for42 Crosby Street at CityRealty.com.